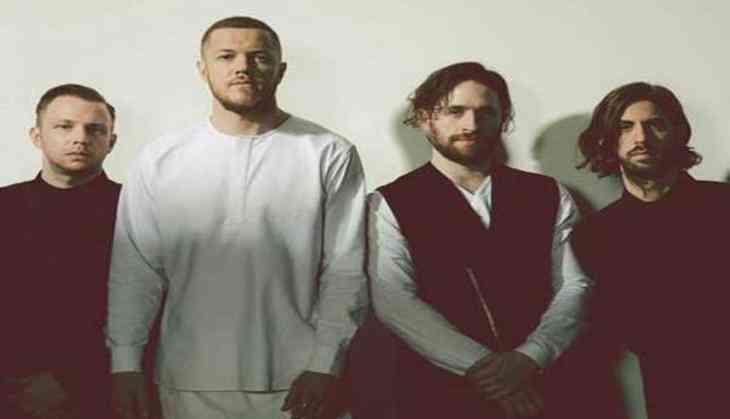 The highly anticipated album by 'Imagine Dragons' titled 'Evolve' has officially arrived and has already received rave reviews from fans and critics alike. With the band currently on tour, 'Imagine Dragons' have always been responsive to their fan base with them recently even surprising two fans at their homes in America. While in Belgium last week, the band went live via Facebook answering fan questions and singing tracks from their new album as well. While thanking the fans for their support, 'Imagine Dragons' lead singer Dan Reynolds began with how grateful they were for the album's success. He said, "First of all, we just wanna say how grateful we are. This has been an incredible week, you're outpouring of love, kindness and reception to the record has been absolutely way beyond our expectations." Adding, "We just feel really grateful today- I know it's such a cliche to say we have the greatest fans in the band but we truly feel such a connection with fans from across the world and just feeling a great amount of gratitude. So thank you to all who listened to 'Evolve' and shared your comments to us. We try to keep up as much as we can, we try to as best we can. We're just really stoked about this record and feel like this is our favorite piece of work that we have put out." The album is followed by the release of the global smash hits 'Believer', ' Thunder' & 'Whatever It Takes'. As the album looks to be No 1 on Billboard's 200 Album chart, Evolve's hit single " Believer," has stayed 16 weeks (and counting) at No. 1 on the Hot Rock Songs chart. The song also spent 13 weeks at No. 1 on the airplay-based Alternative Songs chart - the longest run at No. 1 for any song. In the UK, the album has already reached the Top 10 position currently at the No 3 spot. Did you know sexual harassment is widespread in primate societies?